Jason Aguilar (96). Photo by Brian J. Nelson. Jason Aguilar returned to professional competition in 2019 ready to show the world that he was back in Championship form with his own team. 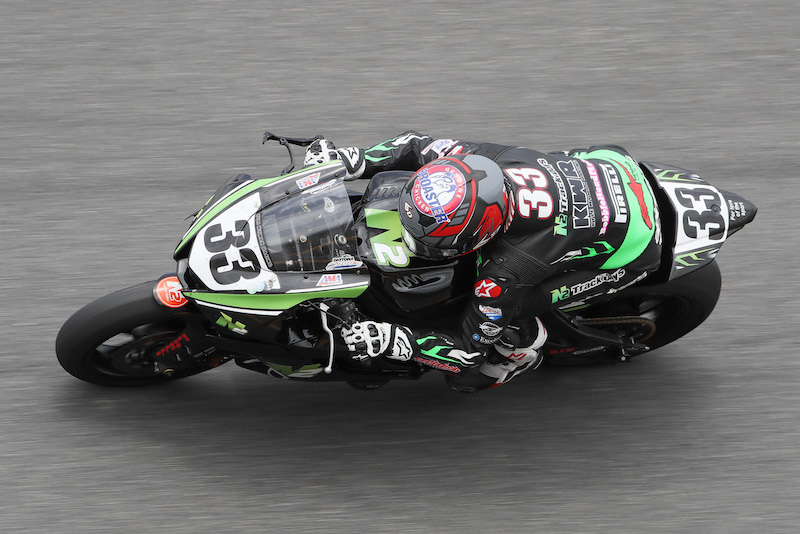 With the help of Crew Chief, Rocky Stargel, and a new team of mechanics, support teammates, and old and new sponsors, Jason was ready for his first trip back to Daytona since his AMA debut in 2014. The team was quickly up to speed, and Jason put his Yamaha R6 on the front row with a qualifying time of 1:49.706. "Big thanks to my crew chief Rocky Stargel. He built me the fastest motorcycle on the grid, and gave me as close to a perfect setup as possible. "Thanks to my mechanics Jimmy Le, Ward Wilson, and John Newman for all the hard work and long hours making sure the bike was at 100% at all times. "Thanks to Beth Stargel for working the pit board, and for serving as a great team mom for the race weekend. "Thanks to Dunlop for providing us with the best tires out there. Tony, Cori, Tom, and the whole Dunlop crew worked their butts off to make sure we had everything we needed for the race. Their knowledge combined with how well the dual compound Dunlop tires worked were a big key in our performance all race weekend. "Thanks to Kory from Moto Station for making sure we had all the equipment we needed and constantly overnighting us parts and supplies. "Thanks to Steve at Evol Technology for working late machining us quick change equipment and overnighting everything to the track for us. Thanks to all my other sponsors: RiderzLaw, Honos, Torco, TaylorMade, FTecu, Superlite Sprockets, Motion Pro, Yamaha, Graves Motorsports, Arai Helmets, Alien Motion Batteries, SBS Brakes, EF Signs, RFA Designs, SBK Paint. TUCSON, Ariz. (Mar. 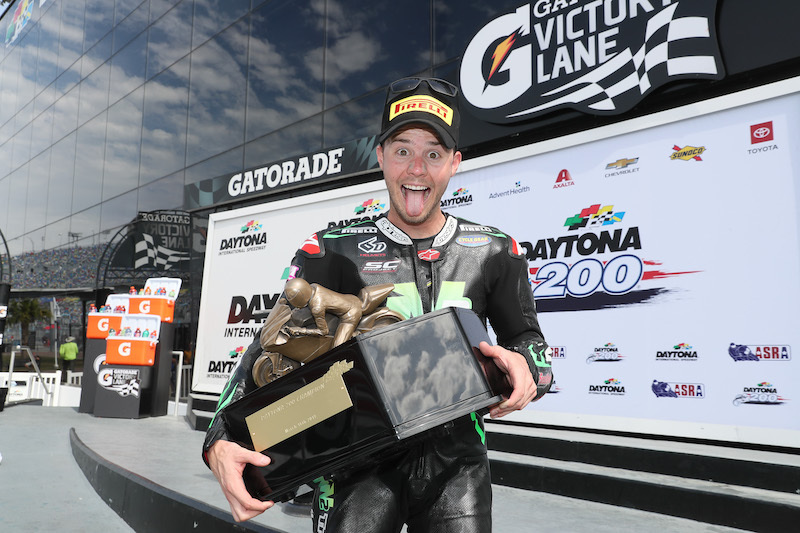 20) -- Kyle Wyman won the 78th running of the Daytona 200 this past weekend at Daytona International Speedway in Daytona Beach, Fla.. Wyman bested the 60-rider field in a 4-lap sprint race to the finish to win by .213 seconds on his N2 Racing/BobbleheadMoto/KWR Yamaha YZF-R6. "To win the race this way, in a four lap all out sprint, is just amazing," Wyman said. "We had really good pace in the second stint where I was able to break away from the field. I just put my head down on that last lap of the race and nobody was able to catch me. The Pirelli tires were sticky and my Yamaha YZF-R6 had the power to hold the lead all the way in." "There's no better way for us to have started the 2019 season," Wyman added. "I look forward to defending our title at next year's event, but for now it's time to turn our focus to the MotoAmerica championship that starts in just over two weeks. "I want to thank the whole N2 crew, my family, my wife and all involved for their amazing work leading up to and during this event. 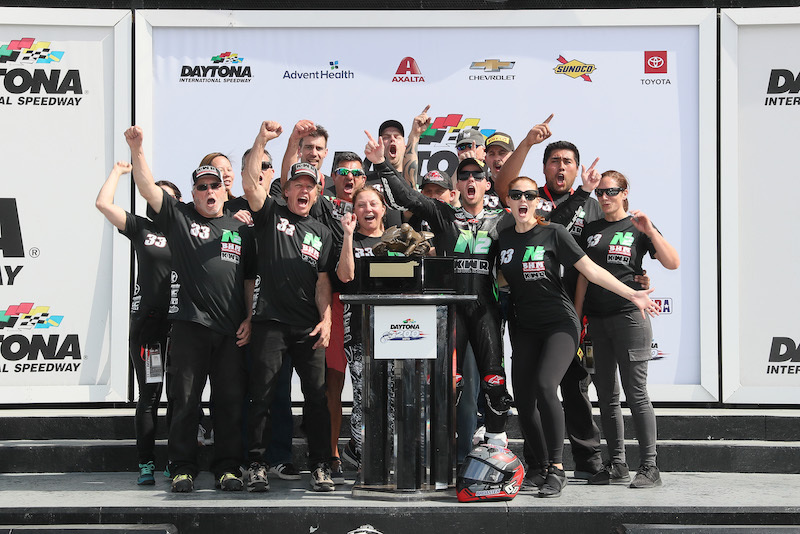 We've become Daytona 200 champions and I can't wait to get our band back together next year for another shot."